They swept UCF on the road this weekend and have won 9 of 10. The only loss was that 1-0 defeat in Gainesville last week. They are currently atop the AAC at 32-15, 10-2. This team has seemed to gotten better throughout the season - and are starting to peak right now. The recent record and taking the all mighty Gators down to the wire.....has been impressive.....Could we have a postseason surprise team in the making? Ken Eriksen is a softball wizard. It appears they worked the earlier season kinks out and has this team firing on all cylinders. 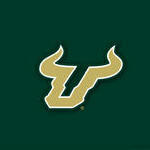 Probably going to be too little, too late to earn a top 16 seed and host a regional, but if USF wins out, who knows. AAC looking like a 3 or 4 bid conference this season.